Young carers are being called on to “tick the box” in the 2016 census in a bid to better reflect the true number of young carers in Australia. 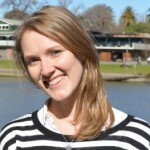 Not for Profit Little Dreamers, one of Australia’s leading organisations for young carers, has launched a social media campaign to raise awareness and help parents and young carers understand they are entitled to funding for the work they do and ensure they tick the correct box on the form. It comes after the 2011 census identified around 115,000 young carers, those 26 years and under who look after a family member at home, however, Carers Victoria identified approximately 420,000 in this category which equates to one in 10 young people. 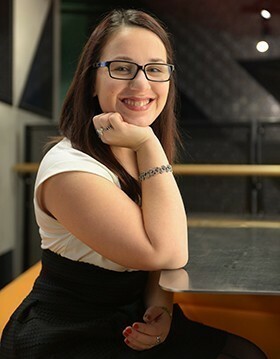 Founder and CEO of Little Dreamers Madeleine Buchner told Pro Bono Australia News the Tick the Box campaign was important as the government needed to understand the actual number of young carers because it is an area that requires a lot more funding. “I guess our campaign comes out of a need to raise awareness about young carers,” Buchner said. “The census is a research tool designed to provide a comprehensive guide to the Australian population. “A lot of the funding decisions come from the census for the government and the quite large difference between the numbers [115,000 in the census compared to 420,000] has a big impact on funding for the sector. “I think also question 49 on the census, is a very weirdly worded question, that a lot of people wouldn’t identify with, so I think it was really important that we kind of pointed out which questions young carers should be ticking to have their voice counted. “By filling out the census correctly the Australian Government will get a better understanding of how big the issue is and then – which is our hope – allocate sufficient funds to the several hundred thousand young carers. Question 49 – In the last two weeks did the person spend time providing unpaid care, help or assistance to family members or others because of a disability, a long term health condition or problems related to old age? Buchner said the government currently offered 333 bursaries of $3,000 each to help young carers across the country, however in terms of “the actual number of young carers” this falls short. “I’m sure it’s helping the 333 young carers that are able to achieve the bursary but in the grand scheme of things it is not going to provide fundamental change for these young carers,” she said. “I think that as the government gets to know, just the sheer size of the young carer market… and the number of issues that are facing young carers, and as we continue to advocate and raise awareness for that, I’m hoping that the government will go ‘great, we need to do more’. The campaign, which has been running for four weeks, has been showcasing the stories of young carers in an effort to highlight what it’s really like to be a young carer and encourage others to acknowledge themselves as a young carer. Buchner, who is a young carer for her mother and her brother, Charlie, said the stories have touched a lot of people. “For me growing up we never really had a ‘normal’ family, and I say that with the quotation marks around it, there was never really routine, one minute Charlie and mum could be quite healthy and the next minute both of them could be in hospital, and I struggled a lot growing up. I didn’t really have many friends who understood what I was going through and no one I could vent to I guess, and I think looking back on everything now, I have anxiety and that has definitely come from being a young carer,” she said. “I think the statistic is two out of three young carers have a mental illness and it is usually anxiety or depression, which is quite self explanatory when you look at the lack of routine and the lack of ability to sort of take time out for yourself, but growing up, I’ve got a lot of friends now who just happen to be young carers, we just found each other at university and post-university I guess and having them around and being able to have them as a social network has been incredible for me. “We’ve really seen a lot of people contact us [with this campaign] saying ‘wow, I didn’t realise that that classified me as a young carer, and… since watching this person’s story I’ve realised that my role is actually coming under the term young carer, and I think that another part of our campaign has really been to raise awareness and make it ok for people to identify with being a young carer. “Once you identify with that term, there is a lot of extra support that you can access. Buchner said another limitation with the census related to under 15 year olds who were excluded from answering question 49. “We work with young carers on a daily basis and we know that the majority fall within the 10 to 14 year-old age group. 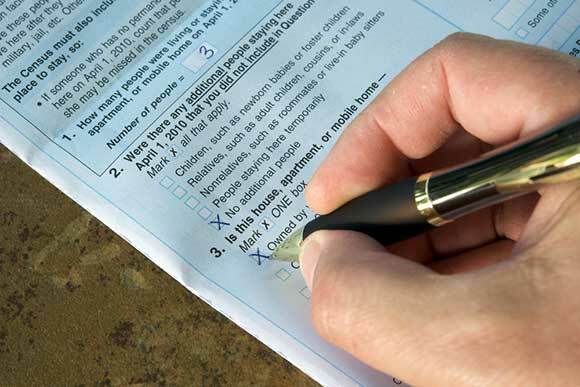 They shouldn’t be ignored but the census is not structured to capture the correct data,” Buchner said. “What this means – as in what happened in 2011 – is that the number of young carers is grossly under-estimated. “That is something that we will be advocating for in the next census, is to actually change that question so the young carer question comes in before under 15 year olds have to stop filling it out, but definitely we’ve been advocating for over 15 year old to 100 per cent tick that box. Madeleine you are an inspiration! Keep up the good work. As for further young carer support, young carer support workers can help with individual and peer support locally across Australia on 1800 052 222 or Carers Australia with education and resources. Looking forward to the Little Dreamers Young Carer Event on Oct 15 in Melbourne!